Spring storm season has arrived which can lead to lead to flooding and power outages. Alpine Communications recommends these five storm preparedness tips to tackle before the next storm approaches. 1. Unplug electronics during storms. Power surges from lightening can damage your electronics and potentially injure you. 2. Build an emergency kit. 3. Back up your computer files. Having an online backup of your files, photos, music and videos is critical if you ever hope to get them back after a computer failure or natural disaster. Alpine’s Tech Home service includes 5-50GB of secure file backup in addition to a password keeper and anti-virus protection for your computers and mobile devices. 4. Make a family communications plan. Let people know you are okay and pick the same person for each family member to contact. 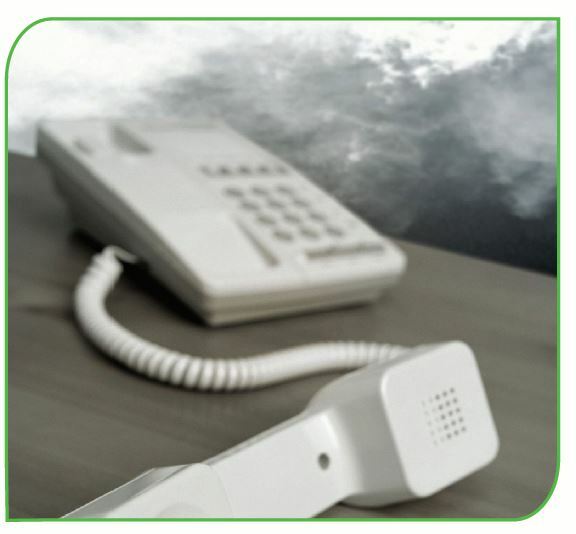 Have at least one traditional corded, landline telephone in your home that does not require electricity to operate. Cordless phones require power to operate, and cellular systems and towers are not required to provide backup power, so cell phones may not operate during a power outage either. 5. Stay up to date on weather reports, and know the difference between different weather alerts (such as watches and warnings) and what actions to take in each case. Tune to Alpine FusionTV’s weather Channel 100 on FusionTV for current conditions, hourly forecasts, a local radar, and listen to KCTN FM 100 live. Alpine Communications wants you to stay safe this season. For information about corded telephones, surge protectors, Tech Home service, and FusionTV, visit the Alpine TEC Store at 923 Humphrey Street in Elkader or call (563) 245-4000.